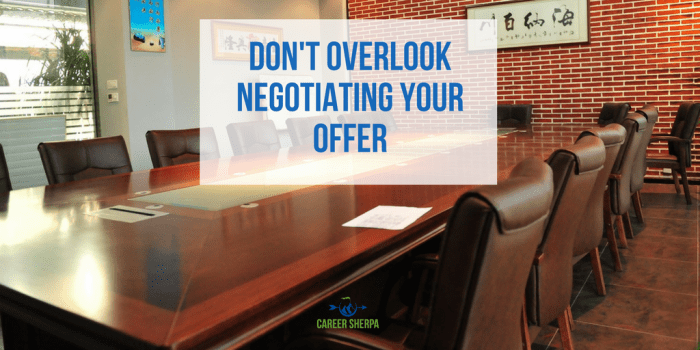 Did you forget to negotiate your last job offer? Or maybe you are afraid to try, worried that the company might pull the offer. Please do yourself a favor. Do not ever base your decisions on fear. Base them on knowledge! And remember, you’ve only got one chance at negotiating your offer. Money may be ultimately most important, but not always. You need to determine what is most important to you. 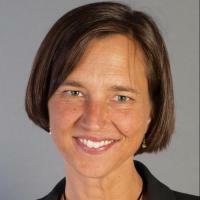 Negotiating checklist includes almost everything you can negotiate. What you’ll see on this list are some of the things you could negotiate and it asks you to rank them. If nothing else, you should know what the company offers in terms of these things or what their policies are. Next, the list asks you to prioritize the items you want to negotiate. Finally, it asks you for your go or no-go factor. The “go” is the ideal number or situation. The “no-go” is the deal breaker and you would walk away from the offer if those terms were not met. Always be enthusiastic about the offer. If you don’t seem like you want the job, the employer is less likely to want YOU. Begin with cash compensation/salary first. If you can win this, you should be willing to make compromises on other negotiables. If you do not get the number you are looking for, push harder to get the other negotiables you are interested in. Shhhh…wait for them to answer. There’s an old saying, she who talks first loses. When you propose your salary number or your item to negotiate and your desired terms, do not talk. Wait for the response. Be prepared to walk away. If the deal doesn’t meet your expectations in any of the areas important to you, know when to walk away from the table! Always remember what is in it for them- What will you give them in return? NEVER make this about your needs and wants. Leave your emotions outside. This is not a “touchy feeling” thing. It is a business transaction. Do not let your pride, fear, uncertainty, or any other emotion impact what you say or do! Be confident in your value. Remember, the company is getting you and your wonderful skills. They’ve invested a lot in this process and they do not want to start over unless they have to. Remind them of the problems you will solve! Smile. You have to be positive and likable. It also reflects how you handle stress on the job! Get it in writing. When all is said and done, be sure you get the agreed terms in writing BEFORE you start!